← How did the first gay presidential candidate make it to #3 among Democrats in Iowa? They’re really promoting the first gay POTUS candidate like there’s no tomorrow! But on Wednesday Buttigieg became the second mayor to throw his hat inthe 2020 Democratic presidential primary ring, and he might not be the last. 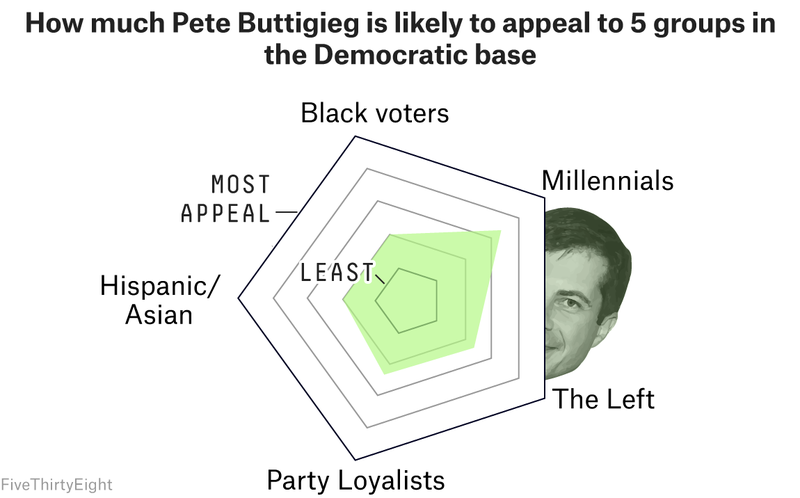 Buttigieg’s age — he’s 37 now, and would be the youngest U.S. president ever if elected — and Midwestern background could help him stand out against a quickly crowding field of aspirants. But it’s also possible that Buttigieg, who wasn’t even included in a recent Politico/Morning Consult poll of 20 potential candidates, won’t be able to get on voters’ radars or build a base of support.